From the intricately engineered exposed-gear-change linkage, to the swathes of carbon-fibre components and Michelin Pilot Sport Cup 2 tyres as standard, every inch of the Exige has been carefully cultivated. 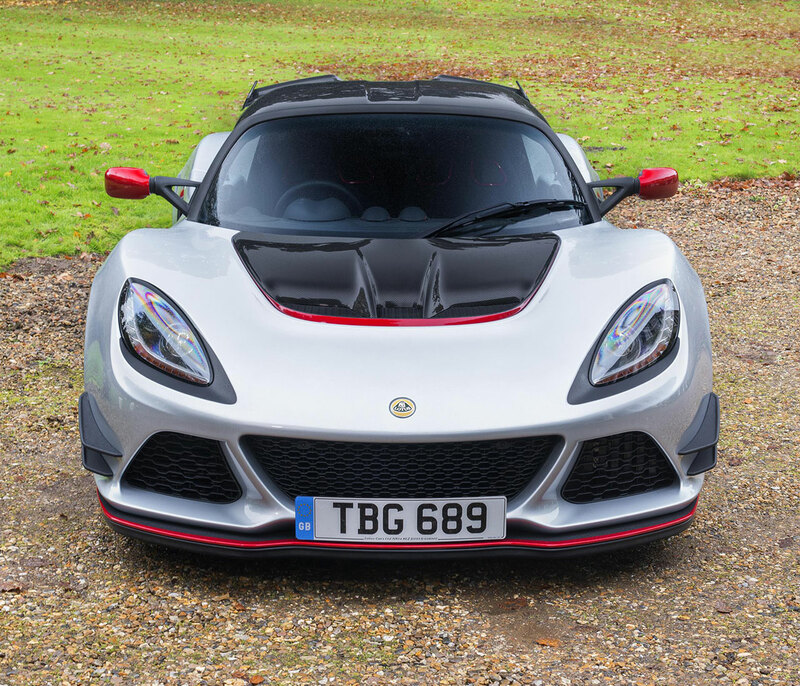 Firmly defined as a Lotus for the enthusiast, the car can be seen as an expression of intense engineering - challenging accomplished drivers to extract the car’s true potential. 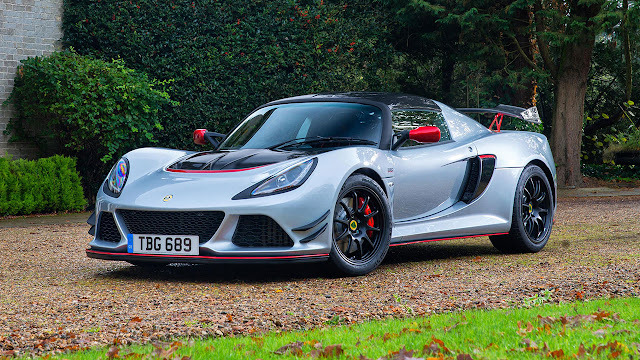 The Lotus Exige Sport 380 is also available with an optional six-speed automatic gearbox, where drivers can select gears sequentially via the forged aluminium paddles located behind the steering wheel, or rely on the gearbox’s fully automatic mode. The automatic gearbox option will be available from Spring 2017. The Lotus Exige Sport 380 features Lotus’ Dynamic Performance Management (DPM) which provides enhanced ‘Sport’ and ‘Race’ settings. Proportionally increasing throttle response, lowering traction slip thresholds and removing understeer recognition, it provides the driver with a finer level of control before the system intervenes. DPM also utilises an engine exhaust bypass valve at mid-to-high engine speeds, further reducing back pressure to boost throttle response and engine performance in both ‘Sport’ and ‘Race’ settings. In addition, twin pairs of front canard wings, mounted forward of the front wheels, a carbon rear wing and air blades behind the rear wheels, all work to help raise downforce to a massive 140 kg at maximum speed - a 60% gain over the Exige Sport 350, which generates 88 kg at its maximum speed. 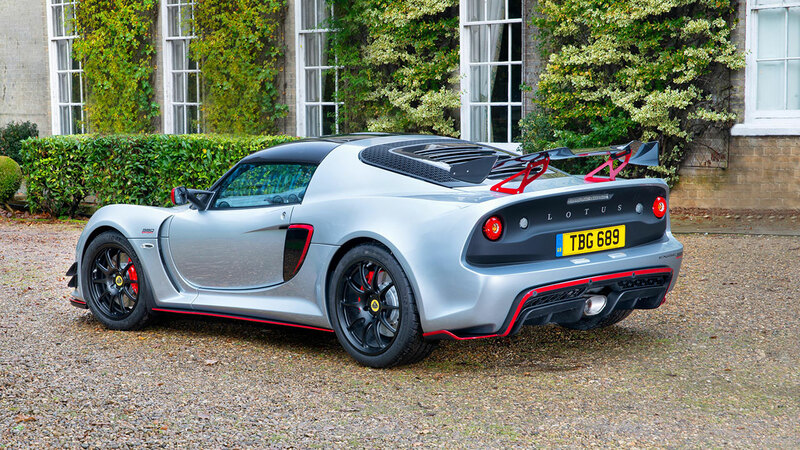 This increase in downforce does not come at the penalty of drag which remains the same as the Exige Sport 350.